Last week I was fortunate enough to sit down with legendary broadcaster Mike North to talk about his career, where we are as a culture, politics and entertainment. 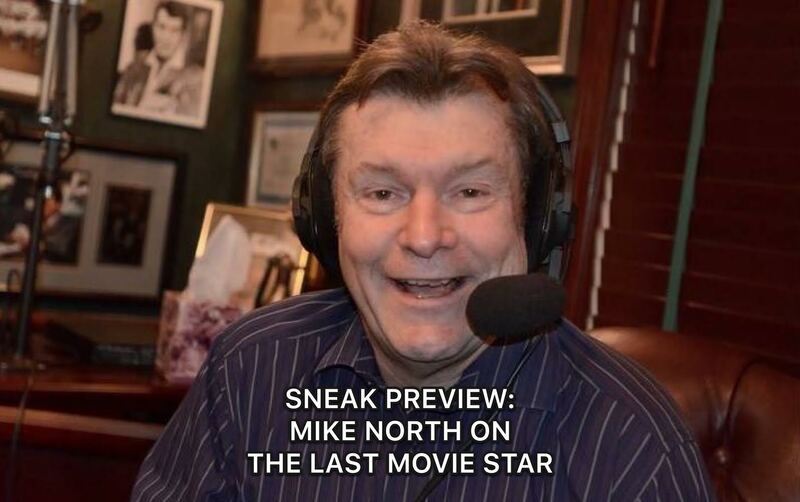 That episode is going to drop in a few days, but because today “The Last Movie Star” officially opens on screens and is available on demand, here is a sneak preview of our chat on the film that brought us together, Burt Reynolds and Adam Rifkin. As always spread the word, leave a review and be sure to subscribe to the show on iTunes for our continuing adventures! 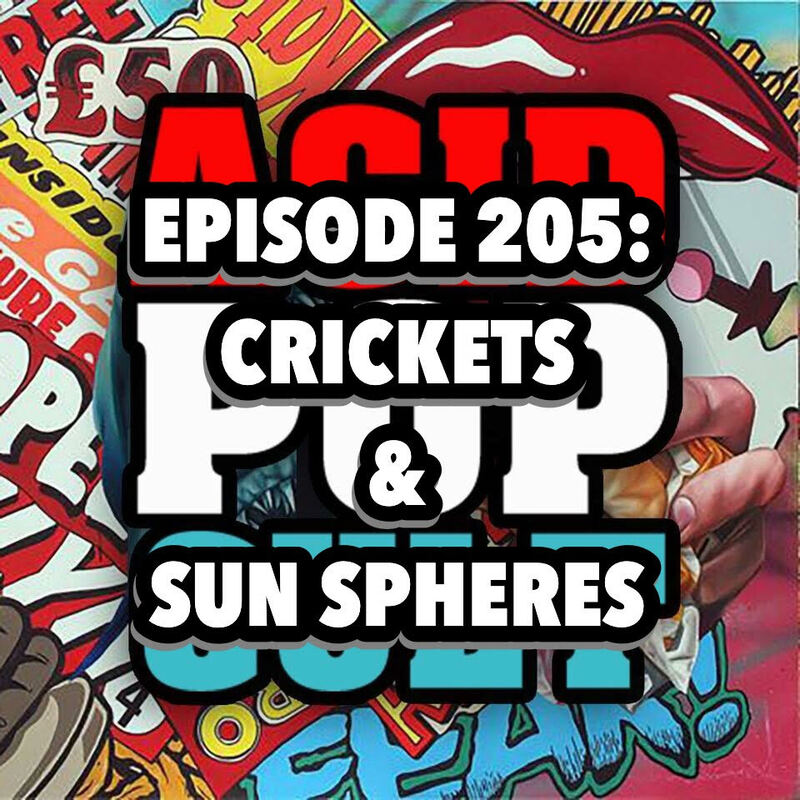 This week on the Acid Pop Cult Podcast, has a mixed bag of topics. Jason kicks things off by recounting his recent trip to Wizard World Philadelphia and a viewing of ’Triple 9.’ Jeremy catches us up with the latest entries in his 366 in 366 movie challenge, where he finally breaks the 200 mark. Hank introduces us to a new feature simply titled “What Hank Hates This Week.” This week he has turned his sights to Rose McGowan and the spineless bastards at Fox. Talk then turns to Jeremy’s struggle with pizza and his upcoming journey to Tennessee to rejoin his beloved Adam Rifkin, along with Ariel Winter and Burt Reynolds, during the shooting of their upcoming flick, “Dog Years”. It’s certainly an interesting time in this young man’s life. The show is rounded out with some quality picks of the week. Spread the word, leave a review and be sure to tune in each week for the latest and greatest! Episode 40: It’s The Final Parker! This Thanksgiving episode is very special. 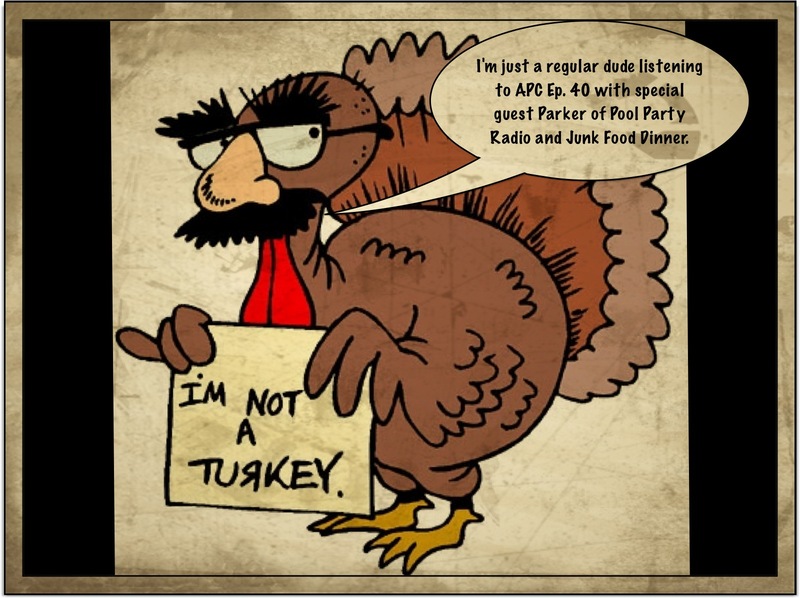 Lee and J-Mo are joined by podcast GOD, Parker Bowman of Pool Party Radio and Junk Food Dinner. We talk remakes we’d like to see, what we don;t mind taking for granted, and a new(ish) segment called “Rapid Rants” that covers a handful of topics like Ariel Winter, Elmo, and more. ENJOY!